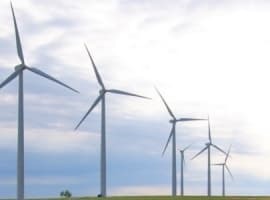 In a never ending quest to find new sources of power, researchers of Purdue University claim to have found something that can be labelled as a new renewable power source. The researchers call it Hydricity. Hydricity is a combination of solar energy and hydrogen fuel which produces electricity through solar energy along with producing hydrogen from superheated water. In simpler words, Hydricity makes it possible to not only produce electricity from the sun, but also produce hydrogen which can be stored and used during the night time. 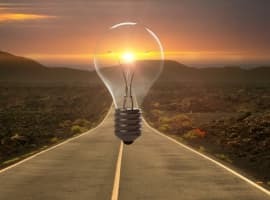 “The proposed Hydricity concept represents a potential breakthrough solution for continuous and efficient power generation, the concept provides an exciting opportunity to envision and create a sustainable economy to meet all the human needs including food, chemicals, transportation, heating and electricity. If you can borrow carbon from sustainably available biomass you can produce anything: electricity, chemicals, heating, food and fuel," said Professor Rakesh Agarwal of Purdue University. 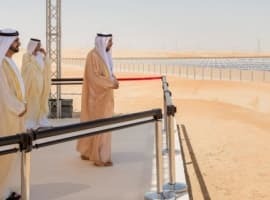 With the help of solar concentrators, the water is superheated at 1,000 to 1,300 degrees Celsius in order to operate a series of steam turbines. A reactor then splits the superheated water into hydrogen and oxygen. This hydrogen is stored (overnight) for superheating the water and operating the steam turbines, thereby producing electricity without any greenhouse emissions. In this way, Hydricity not only produces steam for electricity generation but also produces hydrogen for energy storage. Since the plant would be practically running round the clock, there wouldn’t be any requirement for restarts or shutdowns according to the researchers. What can be the cost of this system? Traditionally, solar thermal power plants are less efficient than solar photovoltaic cells, which can immediately convert sunlight into electricity. Solar thermal power plants first use the sunlight to heat the water and then produce high pressure steam, which can be used to drive a turbine. On the other hand, hydrogen is already being used as source of energy in transportation and stationary power markets. Hydricity simply combines the solar thermal power plant with the hydrogen fuel production facility, something that has never been done before. At this point, costs are uncertain, but a typical 100 MW solar thermal power plant costs no less than $500 million to build. After combining a hydrogen fuel production facility, the total costs would be much higher. In spite of high capital expenditure, the researchers are still upbeat about the new power source because it would be a huge upgrade over traditional photovoltaic cells. 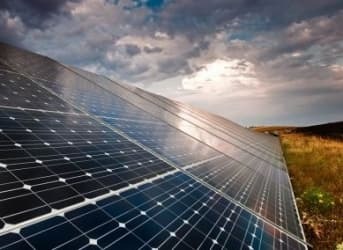 "The overall sun-to-electricity efficiency of the Hydricity process, averaged over a 24-hour cycle, is shown to approach 35 percent, which is nearly the efficiency attained by using the best photovoltaic cells along with batteries. In comparison, our proposed process stores energy thermo-chemically more efficiently than conventional energy-storage systems, the coproduced hydrogen has alternate uses in the transportation-chemical-petrochemical industries, and unlike batteries, the stored energy does not discharge over time and the storage medium does not degrade with repeated uses,” said one of the researchers Emer Gencer. It is still very early to get too excited. The new Hydricity system research has been stimulated through models without the involvement of any experimental component. Hydricity is that it is still at a conceptual stage. So far, the research on Hydricity has been funded only by the U.S. Department of Energy’s Centre for Direct Catalytic Conversion of Biomass to Biofuels and by the ‘Solar Economy’ project led by Rakesh Agarwal of Purdue University. Although no other countries or companies have so far invested in the new technology, that could start to change pretty soon. As claimed by its researchers, the biggest advantage of Hydricity is the potential of its hydrogen storage system and its ability to replace or reduce the usage of conventional fossil fuels used in transportation, chemical and electricity generation sector.